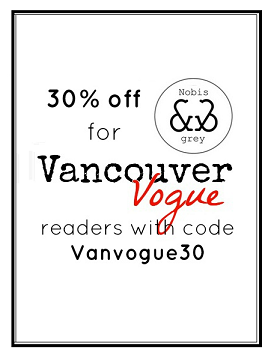 Vancouver Vogue: Nordstrom Warehouse Sale with Style Democracy:What I Scored! Nordstrom Warehouse Sale with Style Democracy:What I Scored! Well, there's a first time for everything! Today, I shopped my very first designer warehouse sale. And you know what? I can totally understand why people go nuts for these events! I was invited by Style Democracy to shop Vancouver's Nordstrom Warehouse Sale today during their VIP preview today, and pretty quickly figured out the ins and outs of shopping efficiently and successfully at this kind of sale (which is obviously very different than a trip to your local mall). Keep reading and I'll share my tips for having the best shopping experience, and I'll also show you what items I walked away with! What: Nordstrom Warehouse Sale - shop your favourite Nordstrom designers and labels for up to 80% off! I wasn't sure what to expect in terms of being able to try things on or not, but I was happy to see they had two large areas blocked off with curtains and mirrors inside for changing. Keep in mind though, it's still not individual change rooms, so if you're not a huge fan of getting down to your skivvies in front of other people, you may want to wearing leggings and a tank top to make it easier to try things on over top of your clothes. While my shopping buddy Leeanne from LegalLeeBlonde managed to power through the sale like a champ in her heels, flats definitely will be easier on your feet if you're planning top shop for a few hours. Also, wearing flats with no socks, as opposed to sneakers and socks, will make it easier to quickly try shoes on. 3. Not sure if it'll fit? Just grab it. This kind of goes without saying. In a situation where there is a limited amount of merchandise and a whole ton of other fashionistas vying for the same things you are, you don't want to feel regret for not grabbing that pair of Badgley Mischka's. You can always put them back later if you decide they're not a winner. Usually when I shop, I like to take a look at the price tag while I'm trying something on, so I can take the price into consideration (I'm sure most people do). Because the pricing is based on the charts hanging around the warehouse, rather than what's on the item's sticker, you'll want to take a photo of the pricing charts so you can easily check to see what your items cost. You can get a peek at the prices of some items in this Facebook Post. As a huge fan of Kate Spade, I totally fell in love with this floral Kate Spade purse, which I found in their high end designer section. They had quite a few of them in stock; I saw a number of people getting them rung in at the cashier. You may be able to still get one for yourself! And those Ted Baker heels? O. M. G. There are little rose gold bow details on the back, rose gold on the sole, and the floral print is so gorgeous. The style reaches up the back of the ankle a little higher than your usual heels, which looks really cool! They had a lot of these heels too, spread out over the shoe sizes. Let me know what you find at the sale if you do check it out! PS. Don't judge the wrinkles in the dress, we shot this literally right after the sale so I could show you ASAP! Disclaimer: Style Democracy provided me with a gift card to shop the Nordstrom Warehouse Sale. As always, all opinions are my own. This blog is very inspiring to me.